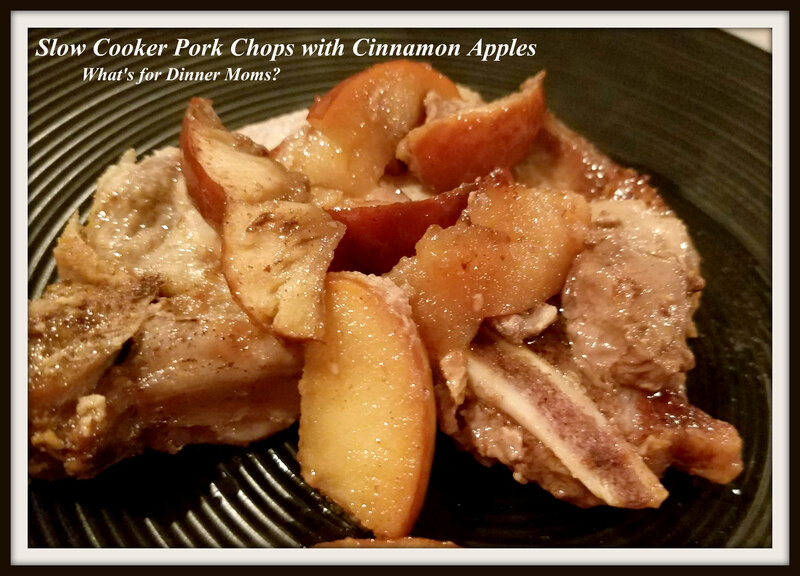 Slow Cooker Pork Chops with Cinnamon Apples – What's for Dinner Moms? So, this is how we spent our Thanksgiving. 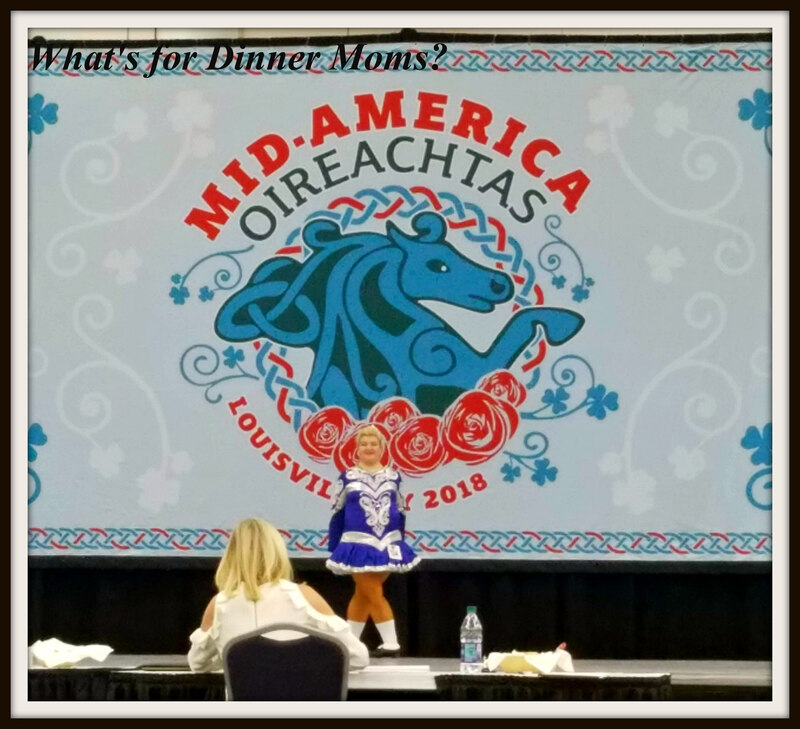 My daughter danced in the Mid-America Oireachtas (eer-uh kh-tus) in Louisville, Kentucky. We had a great trip and a fun weekend but we are all worn out. Two of the four have colds now and thankfully since we got home last night about 6 pm today was a snow day! Woo hoo! We all needed a day to recover and our prayers were answered. Thought this was not her year to recall she is already looking forward to January and feising her new steps. I am so incredibly proud of how she was disappointed at first (she placed 9th last year) but she picked herself up and started planning how she was going to change things going forward. 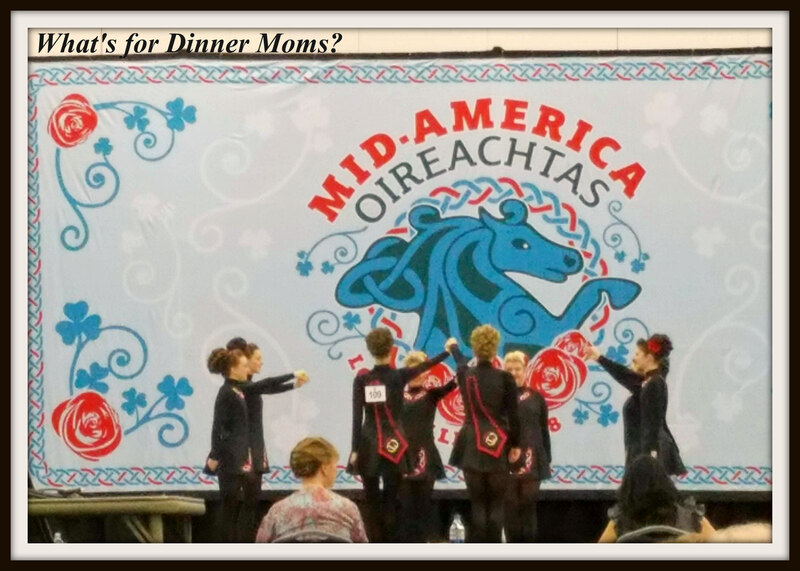 Below is her ceili (Irish folk dancing group) team. They did the best they ever had even though they did not recall and were extremely happy with how they danced. So, with the change over to snow here I am using my slow cooker again more than ever. Lately I haven’t been too much into pork chops. I think the pork overload of a few months ago is coming back to haunt me. But, this recipe smelled so good when it was cooking I couldn’t help myself. Though I made this dish this time with bone-in pork chops this time I much prefer it with bone-less pork chops. The cinnamon apples smelled amazing all day and the hint of vinegar added a hit of flavor to the pork. A savory sweet pork chop with cinnamon apples. Take a fork and poke several holes in each side of your pork chop. Then season pork chops on both sides with sage, garlic powder, salt and black pepper, rubbing each lightly to spread spices. Place pork in bottom of the slow cooker bowl. Add apple slices to the slow cooker. Stir together remaining ingredients and pour over apples. Cover and cook on low for 4 hours. Serve with polenta or potatoes to complete the meal. I love pork chops and apples, though I have never used cinnamon and I usually use Granny Smith apples. I’ll have to try this, thank you! Great picture of your daughter’s dance team, BTW. I’m sorry they didn’t recall, they look great! Not at all! Glad you tried it. I highly encourage everyone to find what works for them!